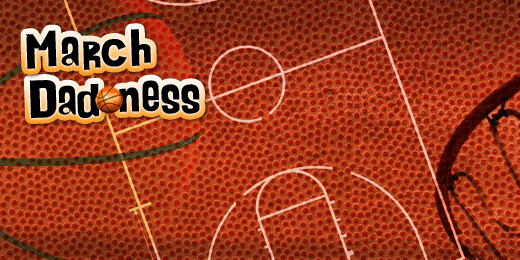 While you're tracking your March Madness bracket this week, be sure you have the details of March Dadness. We started our bracket with the Sweet 16: Phrases Your Child Needs to Hear and are now moving on to the next round with the "Elite 8". Today we have eight activities every child needs to experience with his or her dad. At NFI, we say "the smallest moments make the biggest impact in a child's life." While not all "the smallest moments" HAVE to include an activity; in most cases, shared experiences can create times for lasting memories. Here are eight activities you can use to create memories with your child this week. Teach Your Child a Sport: Take an afternoon to teach your son or daughter how to dribble a basketball. If your child can already do a crossover, consider teaching the rules of the game or studying the dimensions of the court. Go on, you don't have to be a pro player, practice that jumper with your child. Remember, the important thing is you're spending time together. Not at all a fan of basketball? Well, you're probably not the greatest dad you can be. However, replace basketball with the sport you like. Play catch with a baseball or better yet, what better reason to get on the golf course than to teach your child about the game?! Teach Your Child to Ride a Bike: From first learning to ride or taking the training wheels off, riding a bike is a big deal for kids. I'm thinking now of my three-year-old riding her tricycle all over our house. She gets the biggest kick out of it—especially if she knows I'm watching and interested. Her whole demeanor changes as she pedals. Her eyes light up and her chin raises as she glides through our living room and stops crashing into the kitchen. This may sound like a simple thing—and it is—but be sure not to miss it. Go Camping with Your Child: Camping is a great way to connect with your family. Whether it means tent and fire under the stars or on the living room floor with covers and pillows every afternoon like at our house. Use the time to disconnect from work at the office (or around the house) and connect with your child. Take Your Child on a Date: Set aside a couple of hours to spend just you and your child. This can be as planned or as cheap as you make it. Go to the playground, stop for lunch or simply take a walk and talk in your neighorhood. By doing this, you connect with your child on a deeper, more meaningful level. If you have more than one child; simply schedule various times for each child. This may not be a weekly occurance for your family. However, it's an invaluable tool that can show how much you cherish your children. Trust me, with two daughters, I speak from experience, this isn't easy to make time for. I don't do this as often as a should, but when I do it, it's some of the most valuable time I spend with my girls. Volunteer with Your Child: Whether you're serving at your church or helping at a local homeless shelter, there's great opportunities for you and your child to give your time to a good cause together. Your child will enjoy spending time with you and you'll be setting a good example for a lifelong habit of service. Read with Your Child: Your child is never too young (or too old) to read with you. From reading Llama Llama Red Pajama for the hundreth time or The Hobbit with your teen, great books (and the conversion that happens during this time) will last you a lifetime. Make it a regular habit to read aloud with your child. One Last Activity Idea: (for sons) Teach your son to tie a tie and/or shave: Boys need their dads to coach them through these "rites of passage" in manhood. Heck, every time I shave, my daughters "shave" with me. Although time consuming, I often remind myself that there will come a time when my girls no longer care about their dad shaving! (for daughters): Go dancing. Whether it's a silly dance in the living room or a daddy-daughter dance held locally, girls need their dad to show them how a guy treats a girl. Connect with The Father Factor by RSS, Facebook and on Twitter @TheFatherFactor. Use the hashtag #MarchDadness for your posts.